Another year of high quality metal in the books, which means it’s time to tally up who put out the best material. As someone who starts a list early, as to not forget some of the early year releases (and yeah, there is already a 2018 list in existence at this point), it’s always a nerdy and fun end to the year to write this piece. As usual, when it comes this time of year, it’s not so much about the initial rating, but the number of times that a particular album has been returned to. So consider these albums the type that you will get ‘your money’s worth’ in both quality and quantity. 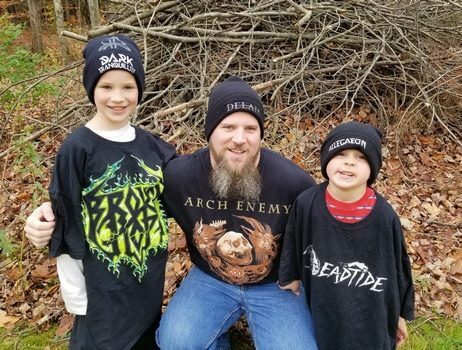 Check the Spotify link at the bottom of the page if you are interested in checking these albums out (as well as a few more for good measure). Each year, it seems that Dead Rhetoric has grown in leaps and bounds and this year was no exception. Tons of content, and I’m especially proud of what we churn out on a daily basis – especially with the small size of our staff and our hunger to cover not only the big guns, but seek out the up-and-coming acts and spread the word (see the list below as examples for examples of both). Thanks to all for checking us out and coming along on the ride. Persona made a few big jumps from last year’s Elusive Reflections and it all paid off. More extremity, more theatrics, more dynamics, more of everything. 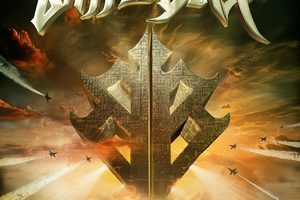 A release not content to sit among the traditional symphonic metal acts, but spread its wings into more unique territory. A 66-minute opus that draws you in further with each successive listen. 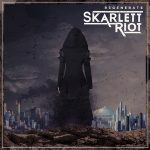 Bucking the trend of bands getting softer with age, Skarlett Riot deliver their most metallic assault to date with Regenerate. Punchy and aggressive, yet subtle and melodic when needed. More importantly, it’s a driving combination of heavy modern riffs and catchy melodies that are countered by Skarlett’s admittedly more pop-ish vocals – something that gives them a clear edge on the competition. 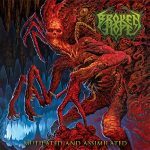 2017 was a banner year for death metal veterans with releases from Cannibal Corpse, Morbid Angel, and Suffocation, to name only a few. But the perpetually underrated Broken Hope managed to rise above them all with their most inspired release since Loathing. It’s brutal, it’s catchy, it’s groovy, and it’s grind-y. 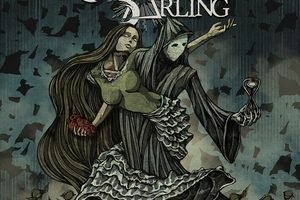 What else could you possibly want in a death metal release? Following up the stellar War Eternal was no easy task. 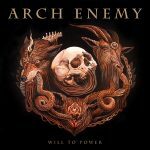 Yet Arch Enemy returns with what may be their strongest album to date. 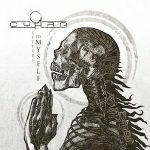 They’ve taken the Arch Enemy formula and streamlined it to the razor’s edge of ‘all killer, no filler.’ Plenty of diversity as well, from the uber-melodic (even utilizing some clean vocals from Alissa) to driving, energetic anthems that are bound to stick with you for days. 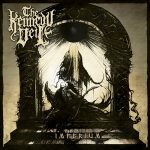 Another band that went through some transformations was The Kennedy Veil. Diving into more atmospheric, groovy, and occasionally blackened waters, they still kept the frenetic and technical side of their music intact. What you end up with is a modern death metal album that’s engaging and user-friendly, yet complex enough for the die-hards to appreciate. TKV continues to be the flag-bearers for this style. An interesting combination of metal, rock, and folk on the ex-Eluveitie trio’s debut release. Anna Murphy’s enigmatic vocals and hurdy gurdy atop sprawling riffs and catchy rhythms bring the band up yet another notch. One can sense the creative spark and feelings of enchantment and imagination resonate when listening to this album, which can simply take you away to another plain of existence. Breathtaking stuff. Quite possibly the most ambitious album of the year, Xanthochroid prove themselves to be master storytellers as well as impeccable musicians. A double-album that ties up the backstory of their other releases, it’s akin to watching to an epic movie unfold. Sweeping and cinematic, with more lore and lyrical depth than many would dare attempt, Xanthochroid transcend genre and deliver something that isn’t just to be listened to, but experienced. 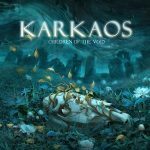 Karkaos’ second full-length feels like a gift that keeps giving. There’s always something to get excited about – be it a snarling riff, beaming melody, or a soaring vocal. 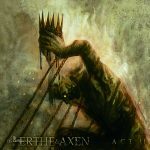 Symphonic melodic death metal that can move from visceral and aggressive to epic and catchy on the drop of a hat. It contains all the quintessential elements and presents them in a way that still feels fresh and exciting. You won’t find a better example of the style this year. This one was a long time coming, but boy did it deliver. 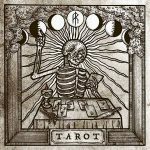 The finest piece of folk you’ll come across in 2017, Aether Realm provide further evidence that America can put out the same level of quality that you expect from European shores. 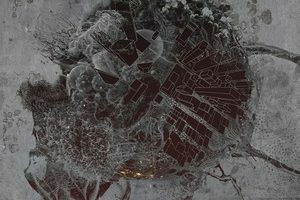 Lovingly detailed and intricate, this 70+ minute opus contains a little bit of everything and is all the better for it. Don’t skip out on the glorious “The Sun, The Moon, The Star,” a 19-minute closer that sits as the band’s finest work to date. 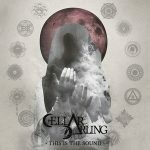 The guys of Soilwork and Arch Enemy (and more) bring you the most ‘fun’ album of the year. ‘70s/’80s progressive rock that is instantly addictive and bites down so hard with hooks that you’ll have no choice but to continue listening over and over again. The songs are well-built with reverence to the time period, yet still have a distinctive freshness to them – a clear labor of love. The perfect album to crank loud and forget about all your worries. A total random find in the late spring, Until You Break has been on repeat ever since. 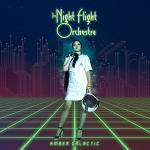 Symphonic metal that keeps the orchestrations and riffing in balance, it can feel darker and gothic yet bring the melodies in spades. 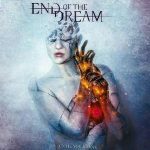 Vocalist Micky Huijsmans’ gorgeous vocals contain a sense of urgency and emotion that few in the genre can match, elevating the band even further. This band should be all but destined to break into the ‘big leagues’ after a sweeping and memorable release like this. 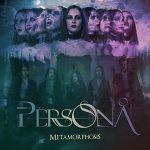 A high profile act that combines Jake E (ex-Amaranthe) and Jesper Strömblad (ex-In Flames), among others, Letters to Myself somehow managed to obliterate the massive amount of hype behind it, and deliver a melodic metal album for the ages. It’s emotional, it’s honest, and the incredible hooks (both vocally and instrumentally) will stick with you long into double-digit listens. A stunning debut that sets the stage for even greater things to come. It’s also the first time that an album doesn’t get my pick for album of the year, but from both of my children as well (age 6 and 8).